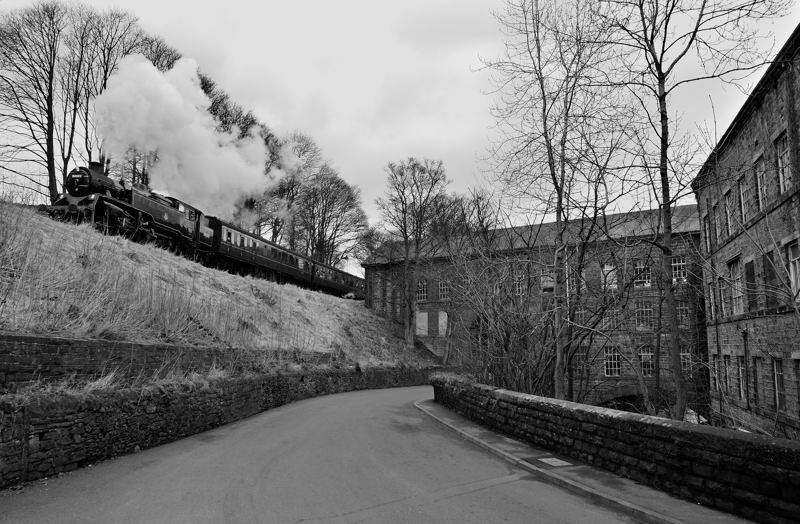 I’d nothing to do, so I decided to head back over to the Keighley & Worth Valley Railway to check out some possible locations. 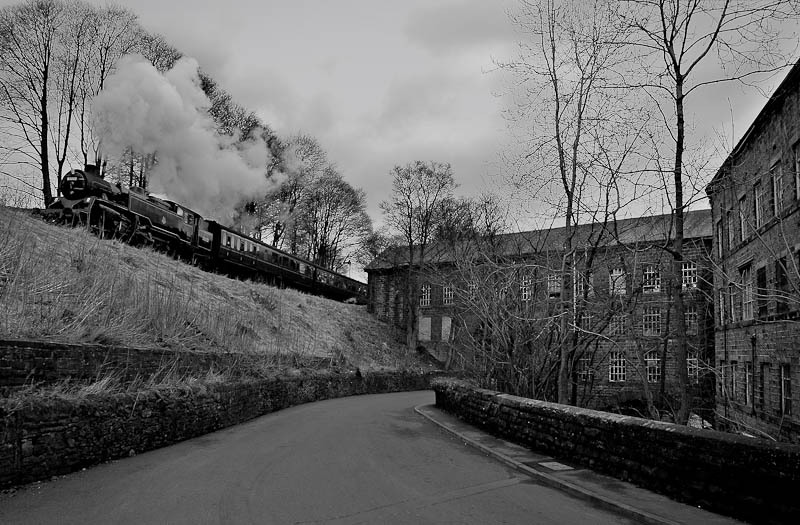 After a brisk walk around Keighley, I headed back up to Oakworth to check out Vale Mills. This time I put on a 24mm prime to give a wider field of view, and positioned myself on the ridiculously narrow, stupidly dangerous road bridge to have another go at the scene. This is what I came up with, and I’m still not convinced I’ve got the picture. It’s like tucking into a bowl of soup that’s had no salt in it – it’s missing something. Not sure if it’s the wide expanse of empty road in the middle of the picture (although I was praying no cars would appear), or whether I should have stood a few feet further to the right to get a better angle on the train. Still, not a bad attempt.